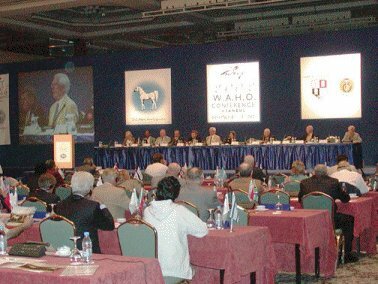 The 2002 World Arabian Horse Organization Conference, which was held by kind invitation of the Turkish Ministry of Agriculture and the Jockey Club of Turkey in the historic and beautiful city of Istanbul from 8 – 13 September 2002, was very much enjoyed by all the participants, who numbered some 280 people from 46 countries around the world. Everyone present agreed this Conference was a resounding success and there was nothing but praise to be heard for the kindness and generosity of our hosts. 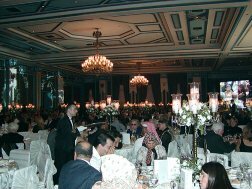 The hospitality shown to us was incomparable and the smooth organization of the many social and cultural events was testimony to the extensive thought and planning which had gone into this wonderful event. Our deepest and most sincere thanks are hereby extended to the Minister of Agriculture, to Mr. Huseyin Sungur, to Mr. Omer Faruk Girgin, to Dr. Mustafa Celebi, to all the members of the Conference Organizing Committee and of course to the staff members of both the Ministry of Agriculture and of the Jockey Club of Turkey, together with the staff of Jordam Ajansy and Meet Travel, without whose hard work behind the scenes this conference would not have been such an unforgettable experience. 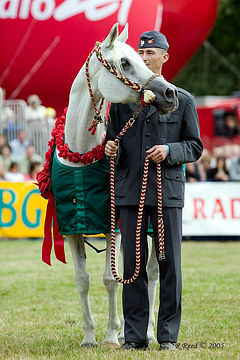 From the warm welcome extended to all delegates and participants when they first arrived at Istanbul airport, to the wonderful day at Karacabey Stud for the Turkish Arabian Horse Parade, every moment of every day was perfectly organised and offered a feast for the eyes as well as the appetite. 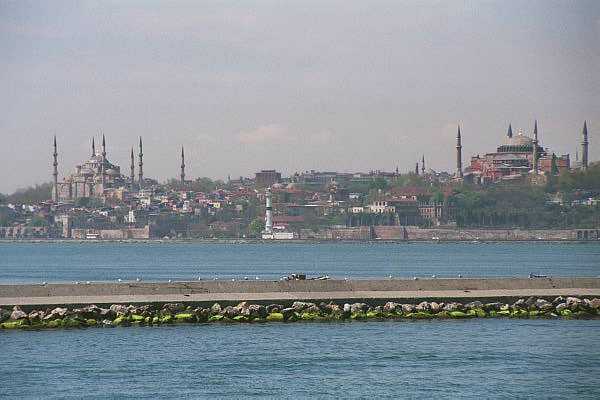 There were sightseeing tours, including a cruise on the Bosphorus, to please the most discerning visitor, cocktail parties and lavish dinners, music and dancing, international horse racing of the highest standard and many athletic Turkish Arabian horses to admire. In fact, it was almost a pity to have to find the time to get down to the actual WAHO business of the General Assembly! However, one of the highlights for everyone was the display in the lobby of the conference room of the wonderful old photographs, pedigrees and historical records of many of the foundation mares and stallions which formed the basis for the Turkish Arabian stud books. Returning to General Assembly business, WAHO is very pleased to announce that the Conference itself was very successful, it was both professionally conducted and smooth running. Of course we all greatly missed the presence of Mr. Jay Stream, the President of WAHO, due to his recent poor health, but the meeting was ably chaired by WAHO’s Vice-President, Dr. Hans-Joachim Nagel, assisted by the WAHO Secretary Peter Pond, and the members of the Executive Committee (who were all unanimously re-elected at the meeting). The excellent facilities offered by the Swissotel The Bosphorus were much appreciated, and translations services in four languages (Turkish, English, French and Arabic) were made available for the delegates and observers at this WAHO General Assembly. A record number of Registering Authority Member countries, 47, were represented by their voting delegates. The World Registrars’ Meeting took place on Sunday 8th, and was a very constructive and relevant meeting for the working registrars from around the world. 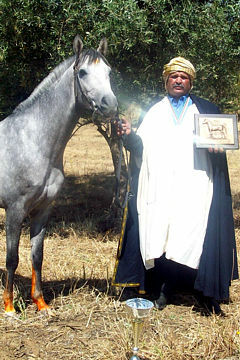 At the Conference itself, according to WAHO tradition, all the delegates reported on the Arabian horse affairs in their own countries, which was most interesting. WAHO is delighted to announce that agenda items which were voted on and approved at this Conference included the acceptance of three new Registering Authority Member countries and stud books into the world-wide family WAHO, that is to say Namibia, Kazakhstan and Libya. A small number of previously unregistered horses (totalling 280) were also approved for registration into the Syrian Arabian Stud Book by a large majority vote, following the presentation of a detailed report into the investigation into these horses. Click here to view the report. The matter of parent verification at first registration was also discussed, and the delegates voted unanimously to make this a mandatory rule for all Registering Authority Members within two years. 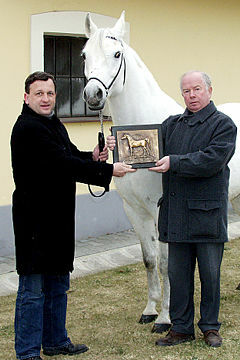 Embryo transfer, and the number of foals which any one mare may produce and have registered in any one year, was also discussed. 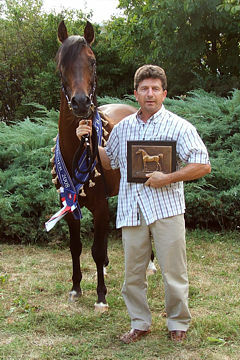 Following a lengthy and expensive court case in America (for a different breed, the American Quarter Horse) in which the court ruled that restricting the number of foals per mare per year could be considered a restraint on trade, it was decided that although WAHO continued to recommend that only one foal per mare per year be registered by this method, it was recognised that some registries may have to abide by legal advice in their own countries. A wonderful half-hour film about the Turkish Arabian Horse was specially made for this event by our hosts, and was very much enjoyed by all those present. In addition, four guest speakers entertained and educated the participants, with talks ranging from veterinary matters such as Severe Combined Immunodeficiency Syndrome (SCIDS) (speaker Mr. Michael Bowling of USA), to the History and Culture of Turkey (speakers Professor Dr. Hassan Koni of Turkey and Professor Dr. Norman Stone of Scotland), to the importance of historical record keeping (speaker Mr. Ferman Ansel of USA). 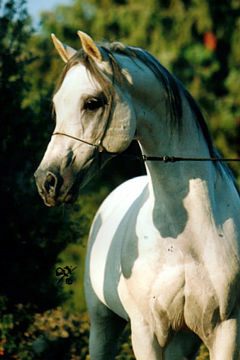 Finally, the Executive Committee’s plans for the next two years were outlined, these include the proposed purchase of a suitable property to be the WAHO Office and headquarters building, for which further fundraising is needed; the development of an international WAHO Arabian horse pedigree database as a resource to be shared by all Registering Authority Member countries; and further ideas to be developed for the continued promotion of the purebred Arabian horse. As always with WAHO Conferences, the social activities were a major part of the event. The elegant Welcome Cocktail Party in the grounds of the Swissotel was just a taste of what was to come. On Monday night we were treated to a superb evening’s food and entertainment at the wonderful dinner hosted by the Jockey Club of Turkey around the hotel’s swimming pool. One of Turkey’s most famous singers, accompanied by his daughters, serenaded us throughout the meal. We were told he is known as the ‘Turkish Frank Sinatra’! There was also a demonstration of Turkish dancing – not dissimilar to belly-dancing, but less suggestive. The two girls were incredibly fit, as they danced without pause for over half an hour. The male spectators were entranced, and the women envious! On the Tuesday afternoon, delegates were treated to a cruise on the Bosphorus, passing many of the beautiful, ancient and famous architectural beauties of Istanbul. On Wednesday morning, some people went to the Veliefendi Hipodromu, Istanbul’s famous racecourse, to watch horses in training and have a guided tour of the racing stables and facilities. 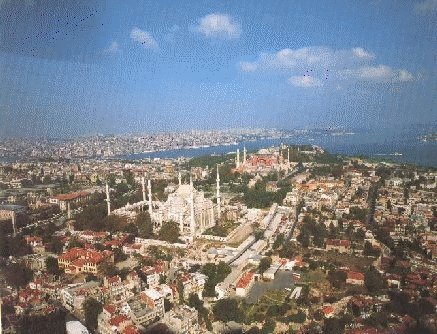 They then joined the rest of the participants as they toured famous Istanbul landmarks, such as Hagia Sophia, The Blue Mosque and the Topkapi Palace. Many individual and group forays were also made to the wonderful and unmissable shopping delights of the Grand Bazaar. On the Wednesday afternoon, it was Off to The Races! 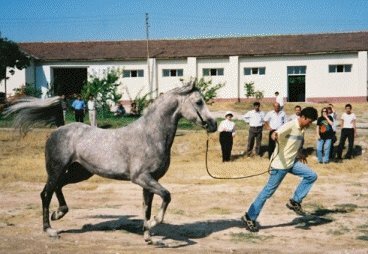 For some 80 years, racing has been the main activity for Arabian horses in Turkey, and as a sport is second in popularity only to football. 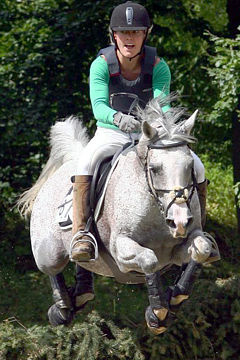 There is even a dedicated Racing Channel on television, and racing takes place somewhere in Turkey every day of the week, all year round. 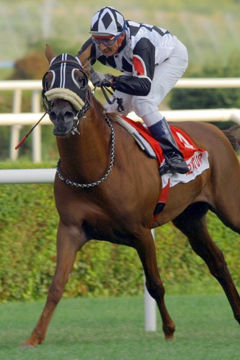 All betting revenue comes to the Turkish Jockey Club, and after compulsory deductions to the Government and good causes, there is enough left over for an annual prize money of $60 million – yes, that is 60 million US dollars. 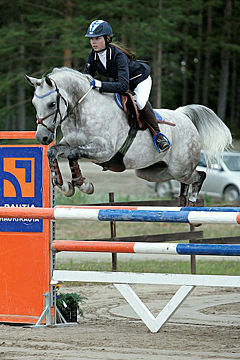 Then there is a breeder’s premium on top of that. This prize money is divided equally between the thoroughbred races and the Arabian races, between which there is no distinction. 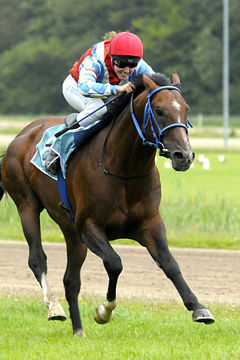 The Arabian racing we saw was of the highest calibre, and included their annual International race for WAHO registered horses aged 4 and over, The Malazgirt Cup, over 1600 metres. 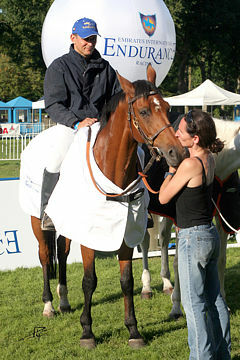 For the second year running this race was won by Al Anood, in a time of 1.44.42. 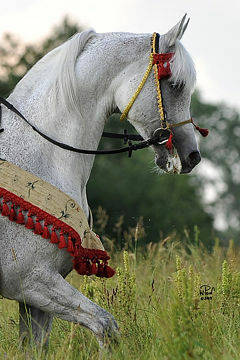 She is a 6 year old grey mare by Amer (Saudi Arabia) out of Dandoura (France). 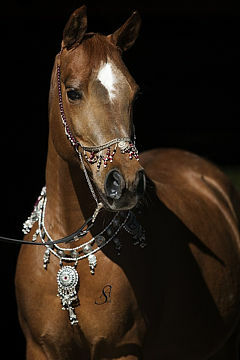 Al Anood was born in the United Kingdom, and bred by Sheikh Abdullah Al Thani of Qatar – so she is truly an International Arabian. 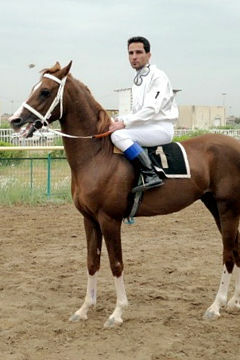 Second place went to the Turkish runner Altaha, to whom Al Anood was giving 2 kilos in weight, and he was only beaten by half a length. 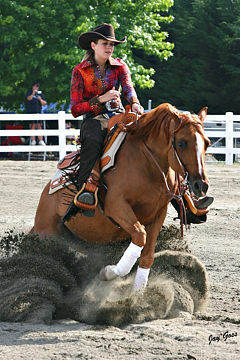 He is a chestnut seven year old stallion by Serhanbey out of 77 Mebruke. Third was Bengalant from Great Britain, by Bengali D’Albret (France) out of Vert Galante (France). On Thursday night, once the Conference was over, everyone let their hair down at the magnificent Gala Dinner and Dance, hosted by the Ministry of Agriculture and Rural Affairs in the remarkable setting of the Ciragan Palace, a fine example of Ottoman opulence. Once again, singers entertained us throughout the evening, and everyone seemed to thoroughly enjoy themselves – in fact many of them danced until well into the night. The week ended with what for many was the highlight of the whole event – a visit to the Turkish Ministry of Agriculture’s State Stud at Karacabey, near the ancient Ottoman Capital, Bursa. 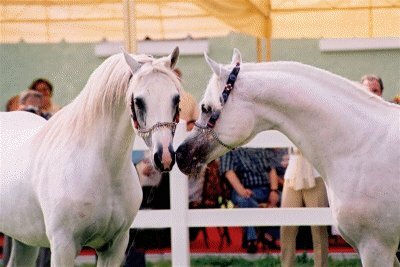 Turkish Arabian breeding is based on horses imported mainly from Iraq and Syria in the 1920s and 1930s, plus a very small number of dam lines which date from Ottoman times. 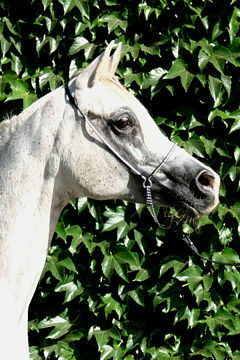 Today there are seven existing direct sire lines and 37 direct dam lines in the State Studs, together with further dam lines in the private studs. 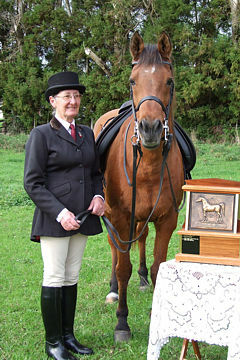 More details on the Turkish Arabians and the foundation horses can be found elsewhere on this WAHO website. 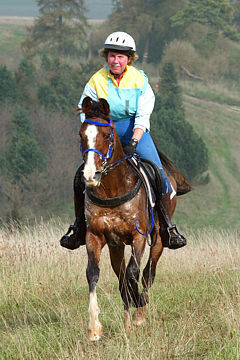 The State Studs’ mares are themselves not raced, although a few fillies are sold at their auctions each year. 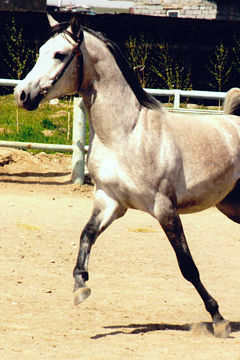 Mainly the colts are sold, at 2 years old. 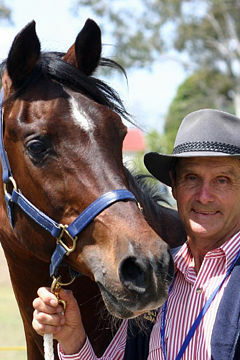 A few are retained by the studs as future stallions without racing. 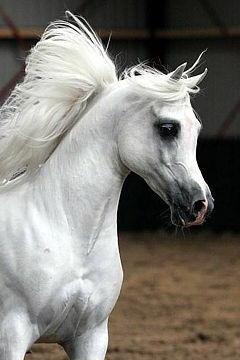 This is particularly true of the rarer sire lines such as Hedban. 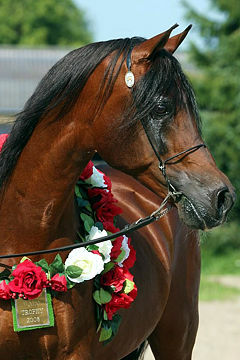 Because they needed an infusion of outside blood, in recent years the Turkish State Studs and private breeders have acquired some imported horses for breeding, they have extremely high criteria and have bought some of the best available horses, mostly from Poland and the USA. 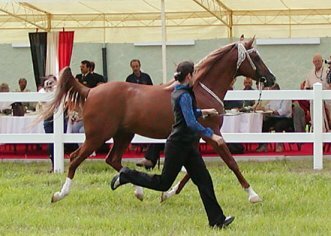 Some 70 horses were presented at the Turkish Arabian Horse Parade, mainly in groups, and were from all three State Studs (Karacabey, Anadolu and Sultansuyu) and most of the representative families. 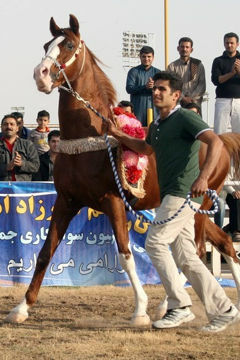 During the parade, some of the recently imported horses, including noted stallions such as Druid and Batyskaf from Poland and Tiki Tork Ku from America, together with some of their progeny, were also shown. 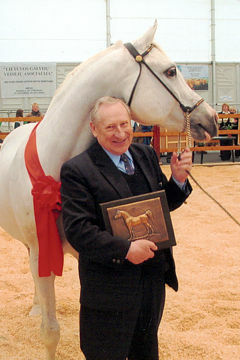 Emma Maxwell and Mark Gamlin, expert show handlers from Great Britain, ably assisted by Hamdi Bey from Sultansuyu and other Turkish handlers from the TJK Stud at Karacabey, did a wonderful job to show us so many horses, virtually none of whom had ever appeared in front of an audience before. 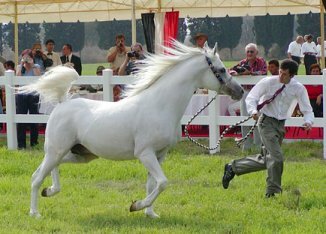 The common feature of the Turkish Arabians is their athletic and powerful movement, as would be expected for horses required for racing. 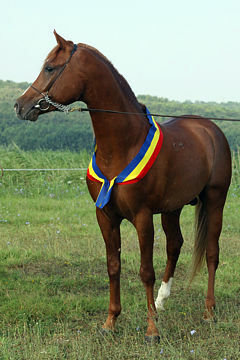 However, several would not be disgraced in the show ring either – the chestnut yearling Zorbaz, a son of Druid out of Kemiyetulirak 36, springs to mind. The Matra, Kemiyetulirak and Sapha family groups, and the Sultansuyu mare Kirsemsa 43 were particularly attractive. After the Conference was over, some people stayed on in Turkey to enjoy the Post Conference tours which had been specially arranged for WAHO participants. For those who made the long trek to Eastern Turkey and visited Sultansuyu State Stud, it was well worth it when they saw the horses ‘at home’ with no crowds to distract them. 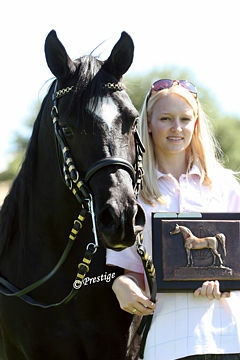 Again presented by Emma Maxwell and Mark Gamlin, they demonstrated the superb free and powerful movement for which these horses are renowned. 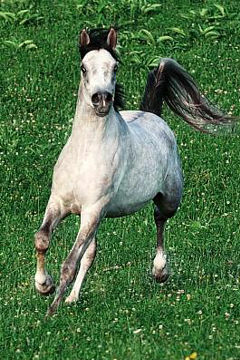 The mares in particular, coming straight out of their barns, in their every-day halters and with no time for a wash and brush-up, showed a degree of elevation and extension which is all too rare in Arabian horses these days. 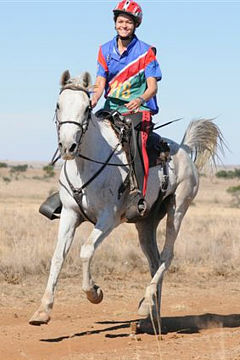 Mark and Emma had to find a fifth gear just to keep up with them and did a great job, considering that these mares had never been trotted in hand before. Amongst the stallions we saw were the famous racehorse and leading sire Volga (1983), from the Hilaluzzaman sire line; Berkos (1986) from the Saad sire line; and the two unraced stallions Hedban 33-93 and XXXIX Seklavi 23-96. After seeing the Sultansuyu Stud, there was also the rare opportunity to visit one of the great wonders of the world – the World Heritage Site, Mount Nemrud. 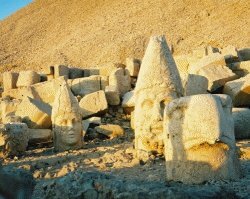 It felt as if we were sitting on top of the world as we sat amongst the ancient statues, which for over 2,000 years have guarded the last resting place of the ancient King Antiochus, who increased the height of an already high mountain in the Taurus range by building his pyramid tomb on the summit. As we watched the spectacular sunset from an altitude of over 2000 metres, it seemed as if we could see the whole world. 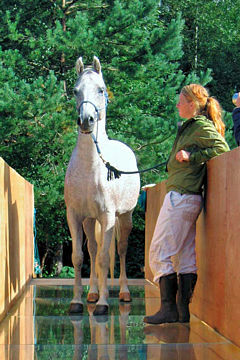 It was truly an excellent moment to reflect that, for all the Arabian horse lovers who came together in Istanbul for the 2002 WAHO Conference, to meet old friends and make new ones, and above all to share in their enthusiasm for the Arabian horse – surely the most international, most admired, most beautiful and most versatile breed of horse in the whole world – it was an experience they surely will never forget. 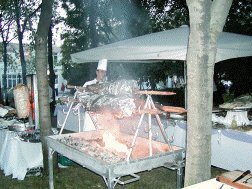 We look forward to meeting again in Warsaw, Poland, from 8-13 August 2004. 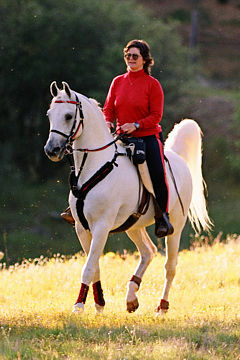 Poland was one of the founder Member countries of WAHO, and has a famously rich heritage of Arabian horses and history which are a ‘must’ for all Arabian horse lovers. All of us at WAHO do hope you will be able to join us there!